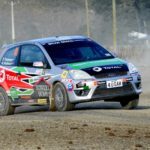 Christchurch’s Dylan Thomson will be doing his best to farewell the two-wheel drive ranks in style at the final round of the Brian Green Property Group New Zealand Rally Championship, the Hyundai NZ Raglan Rally of the Coast, this weekend. Thomson and co-driver Amy Hudson head to the Raglan-based event having achieved what they set out to this season, having..
Cambridge youngster Connor Davison is the latest up and coming motorsport talent to confirm his entry for the 2018-2019 Toyota 86 Championship and it’s the start of what he hopes will be a productive period in the category as he transitions from karts to cars. His first test in a Toyota 86 was almost a year ago and he’s clocked..